Today we are pimpin True Joy Sweets. All natural, vegan, non-gmo, Kosher, organic and gluten free, this candy company offers something for everyone. I just learned about True Joy Sweets last week. I copped a box of their candy canes because for me, regular candy canes have too much garbage in them, including red coloring. I am very much against red food colorings. Not only are they usually petro or crushed bug based but they also give me an awful headache. Obviously I was psyched when I saw that True Joy uses fruit juice as the red coloring for their candy canes. Score one for this sweet toothed veg head. 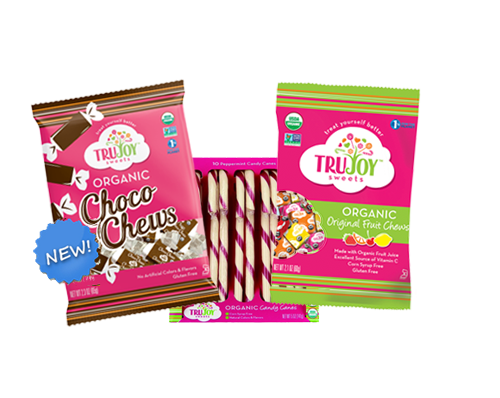 Not limited to only candy canes, True Joy Sweets make fruit chews and choco chews. I have yet to see these in the flesh but when I do, you know I will be copping them. So keep your eyes open for True Joy Sweets next time you are at your local natural grocer or your local Whole Foods. They are worth a try plus it is nice to support a small business like True Joy who on top of making organic vegan candies are also part of the 1% for the Planet organization. 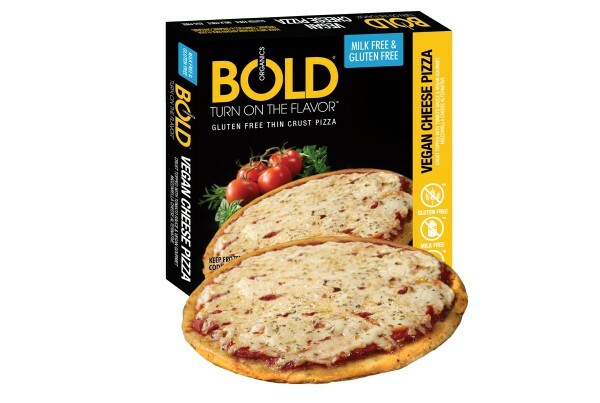 Bold Organics Vegan Cheese Pizza. I LOVE pizza. Adore it. But I have never loved or adored cheese. And now a days cheese does not like me either. So we have parted ways for the most part. But frozen pizza is just so easy and I missed it. I tried many others but nothing ever really did it for me. Until I was suggested Bold. Dairy free, egg free and gluten free. This pizza is also small and expensive but in the not-so-tasty world of frozen vegan pizza, it takes the cake. The sauce is excellent, the crust is thin and the soy based cheese does not over take the rest of the pizza. If you can find it, at least try it once, it’s worth every penny. Like most veg heads, I am all about veggie burgers. And like most veg heads I am super picky about my veggie burgers. Enough with the whack veggie burgers. It’s 2014 and if we want the masses to know what’s really good with a plant-based diet then we need to bring the real to the masses. That’s pretty much what Luna Burger did. They brought the real to the masses. 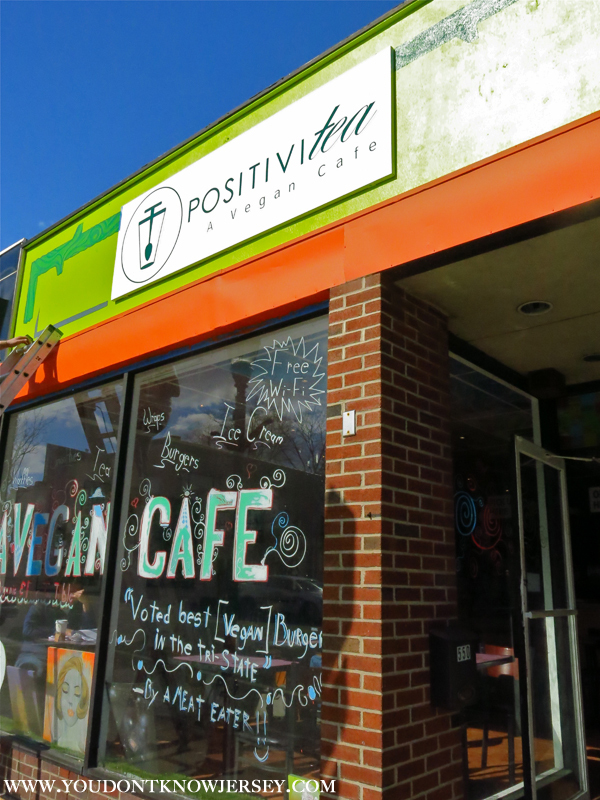 I have only had ‘The Classic’ but I can safely say it was the best veggie burger I had outside of a veg restaurant. 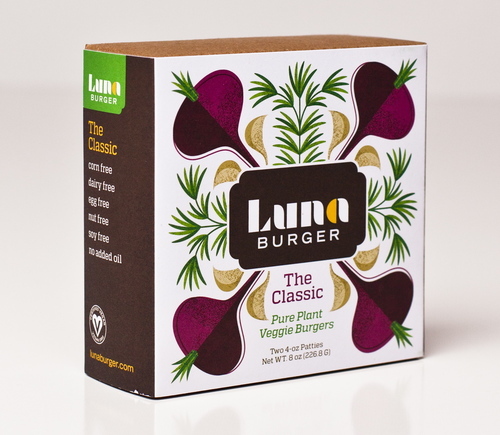 It is of total restaurant quality and I am not shocked to learn that many veg restaurants are offering Luna Burgers as their veggie burger option. It tasted amazing, it was big, it didn’t fall apart, it was easy to cook, it fit on a basic burger bun and it was vegan. Add to all that Luna Burgers are free of corn, dairy, eggs, nuts, soy and have no added oil. They are also certified vegan and verified non-gmo. ‘The Classic’ Luna Burger is made with Black beans, spelt berries, oats, onions, carrots, kale, beets, blueberries, molasses, garlic, apple cider vinegar, salt, rosemary and black pepper. All that adds up to 6 grams of fiber, 7 grams of protein, 40% of your daily vitamin A needs, 10% of your daily iron needs, 6% of your vitamin c and 4% of your calcium all in only 160 calories and 2 grams of fat. 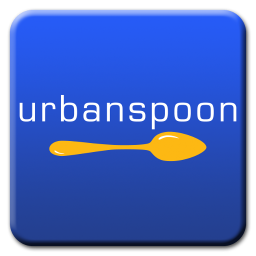 Made by hand in Columbus, Ohio, they only use locally sourced ingredients. I have a major soft spot for meal replacement bars. I am ‘on the go’ quite a bit and eat all day to top it off so meal replacement bars are a staple in my purse and car. Now finding a high quality, great tasting meal replacement bar is a whole other issue, and a vegan one at that? Good luck. Well, I guess we are all in luck because Pro Bar has made a super delicious, super healthy meal replacement bar that I think most can get behind. These organic non-gmo, vegan, all natural, high fiber, high protein meal replacement bars are the ish. 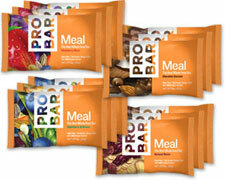 Chock full of good stuff like oats, sunflower seeds, pumpkin seeds and dried fruits, the Pro Bar Meal Replacement combines a ton of natural ingredients that taste amazing and are super good for you. Clocking in at 390 calories with 22 grams of fat , 6 grams of fiber and 10 grams of protein, these things fill you up easily and keep you full until your next feeding. They are also a great source of Iron and a good source of Calcium and Vitamin C.
To sum it up, Off The Farm energy bars are off the hook. This is just an amazing product, I don’t even know where to begin. The taste, the texture, the smell. Aye, eating this was a delicious experience in just how good real food is, especially when you strike the right flavor combos. So far they are offering up 3 different flavors of this energy bar. Strawberry Coconut, Blueberry Vanilla and Apple Cinnamon. I went with the first choice and was blown away. Big chunks of raw coconut, yummy strawberries all wrapped up into something that resembles what my mother would have tried to pass off as ‘granola bars’ to us back in the day. And these days that is a good thing. I next went for the Blueberry Vanilla and was just as impressed, as was the individual who I split the bar with. I found these bars of goodness at Whole Foods and yes they are a bit on the pricey side but if you order off their website it drastically reduces the price. Almost half of what they are charging at Whole Foods. At the end of the day you are almost getting a whole meals worth of food, so I guess cost is all relative. They come in at around 200 calories, with 4 grams of fiber and 6 grams of protein so they do fill you up a bit. Garden Of Life Raw Protein Powder. This stuff is GOOD. I go through plant-based protein powders like crazy over here and I must say this Garden of Life really surprised me with not only its ingredients list but it’s taste and mixability. The Beyond Organic Protein Formula that I used is made from raw organic sprouts and sprouted brown rice protein. With 17 grams per serving, this one is no slouch in that department either. Not only is this stuff raw and organic, it is also dairy free, soy free, non-gmo vegan and gluten-free. The sprout protein it contains comes from Amaranth Sprouts, Quinoa Sprouts, Millet Sprouts, Buckwheat Sprouts, Garbanzo Bean Sprouts, Lentil Sprouts, Adzuki Bean Sprouts, Flax Seed Sprouts, Sunflower Seed Sprouts, Pumpkin Seed Sprouts, Chia Seed Sprouts and Sesame Seed Sprouts. Since all of the ingredients have been allowed to sprout, the nutrition profile is super versatile and well-rounded. Not only high in protein, you are also getting Live Probiotics, Bioactive Enzymes, Glucomannan, Glutathione, Lipoic Acid, Essential Trace Minerals, Glutamine, CoQ10 to name a few. Those are all things we need to build lean muscle and some plant-based protein powders do not bring them to the table. Add to all that good stuff that there is nothing artificial or preserved about Garden of Life Raw Protein. And as a company they buy 100% Certified Renewable Energy. Categories Fit Tips., Nutrition., Vegetarian and Vegan Grub and Transition Foods.